My goal is to exceed your every expectation and deliver uncompromising service with full Confidentiality, Privacy, and Loyalty. My extensive 28 years of experience and attention to detail in buying and selling Residential, Commercial, Investment, and Project Development will give you full market knowledge as well as real world experience. 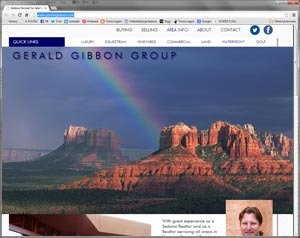 Contact me direct to begin the journey of acquiring or selling property in majestic Sedona, Arizona.